Adoption is a loving option that Happy Valley Animals in Need offers. It is a great option to consider in place of purchasing animals from a breeder or store. Not only are you bringing a new member into your family, you are also helping an animal in need in Centre County. Whether you are looking for a specific dog, cat, bird, rabbit, or farm animal, Happy Valley Animals in Need has many animals that are in need of lifetime owners, and are constantly acquiring new prospective pets. These animals come in many different shapes, sizes, breeds, and personalities, meaning that there is bound to be one that is perfect for your home. 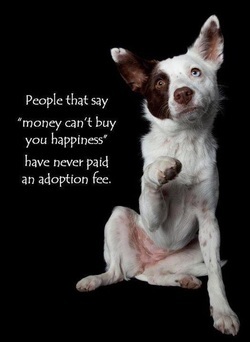 Animals in current need of adoption are under the "Needs a Home" tab of Adoption. If you are looking for a certain animal, please fill out an ADOPTION FORM. Once your application is approved we can assist with finding you the perfect animal.